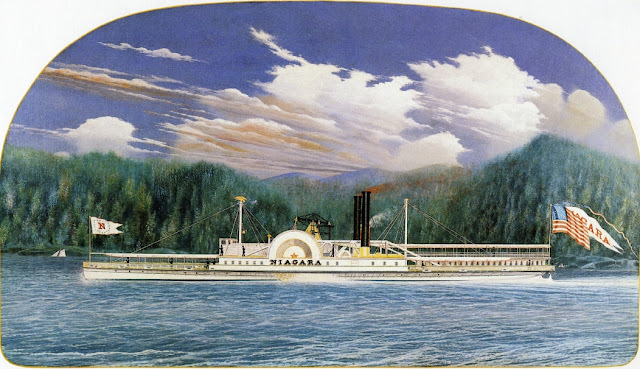 See parts 1-19 also for earlier works. 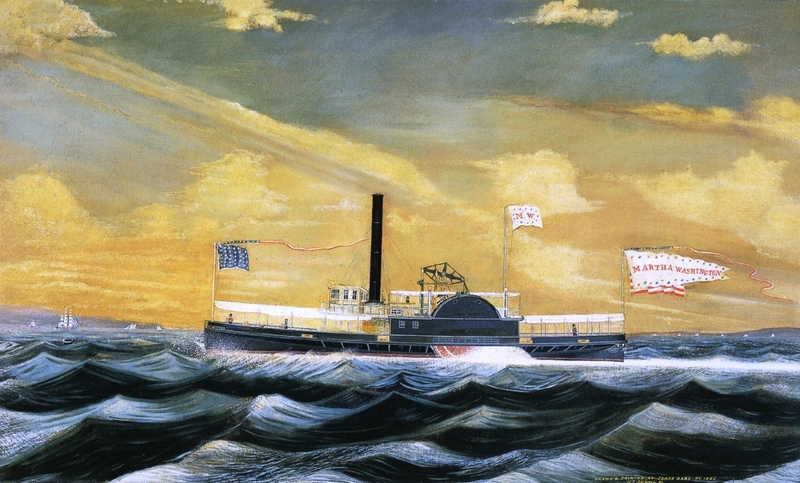 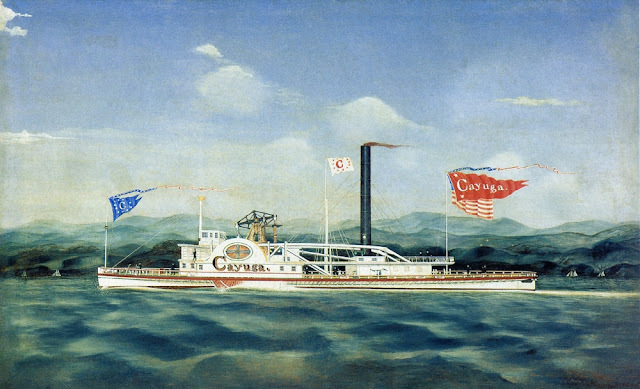 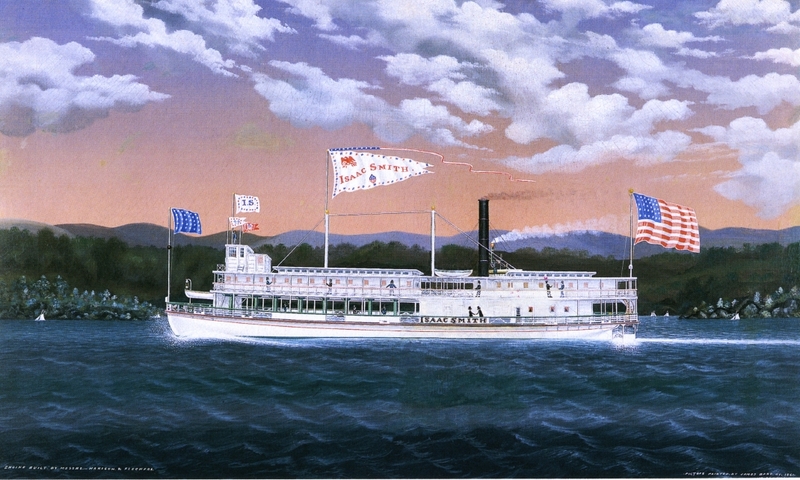 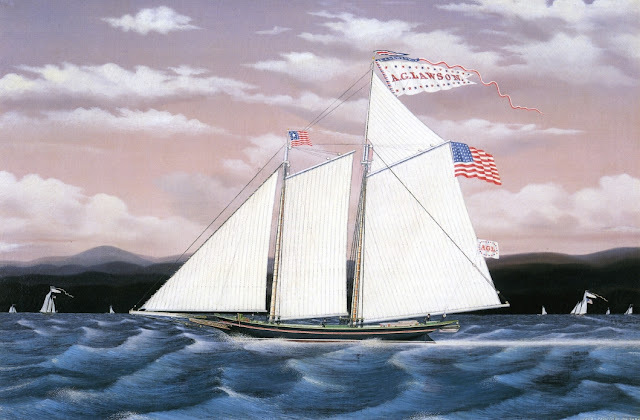 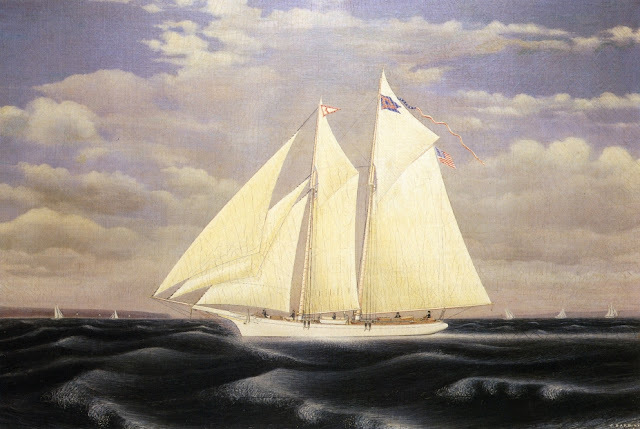 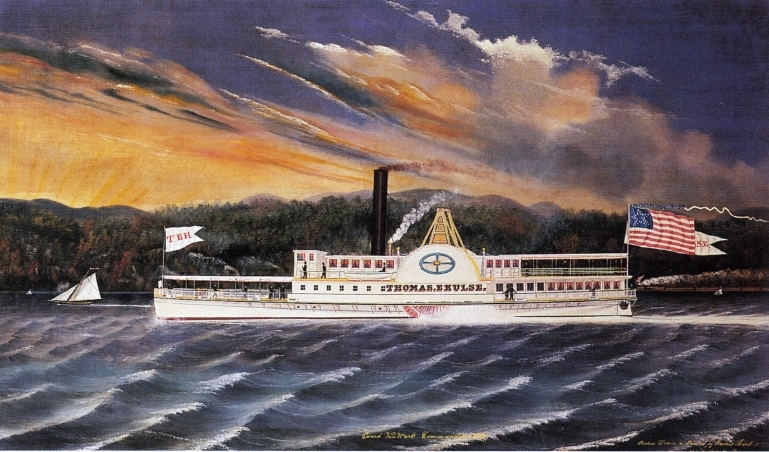 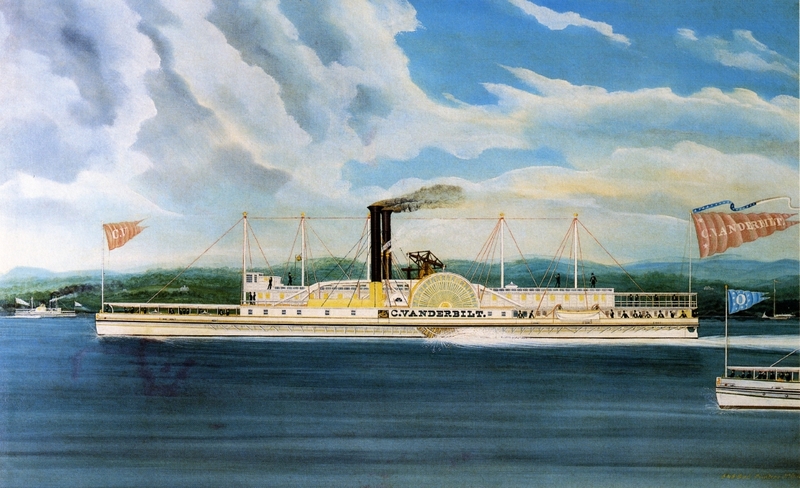 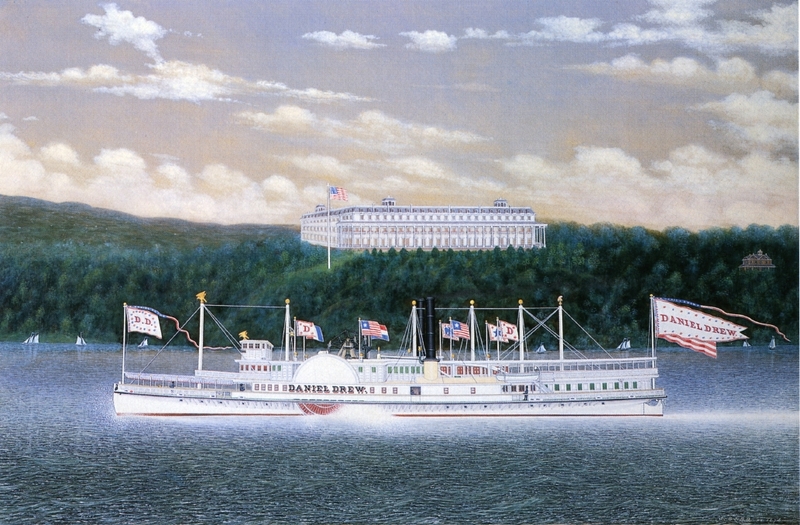 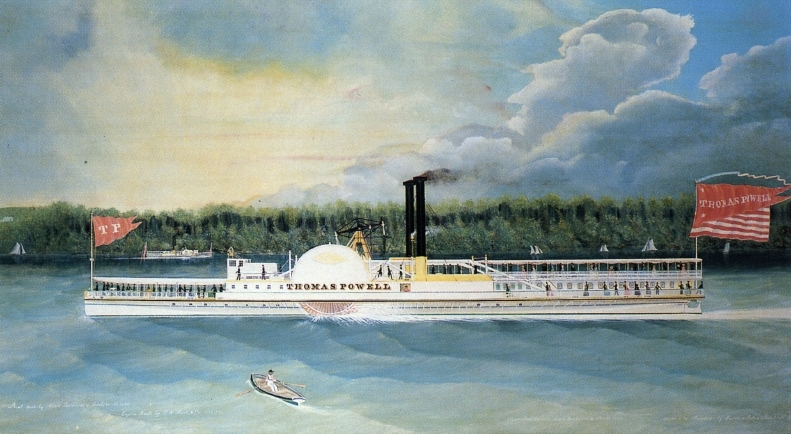 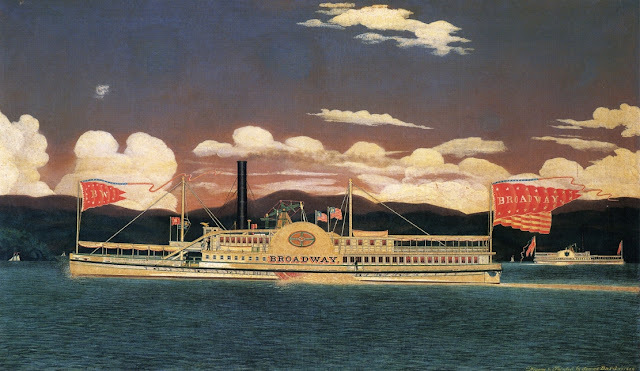 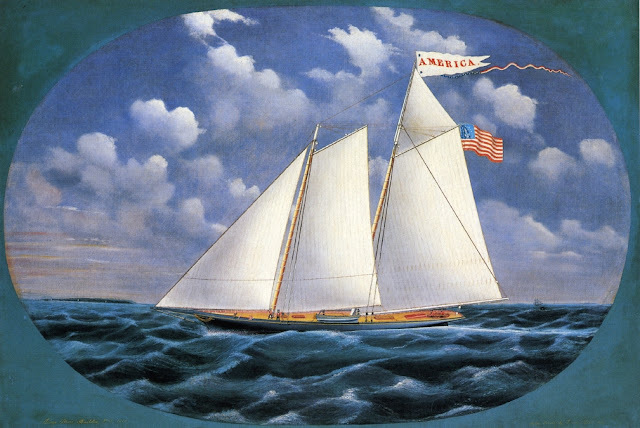 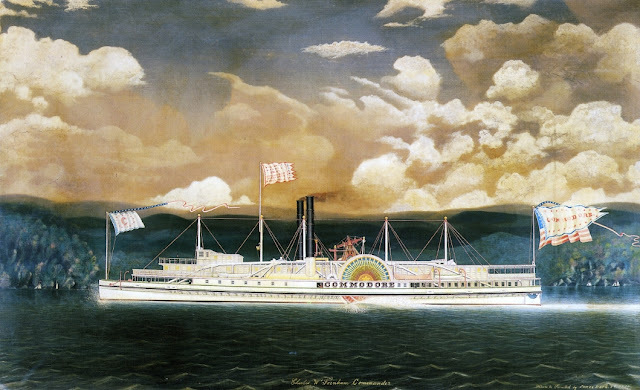 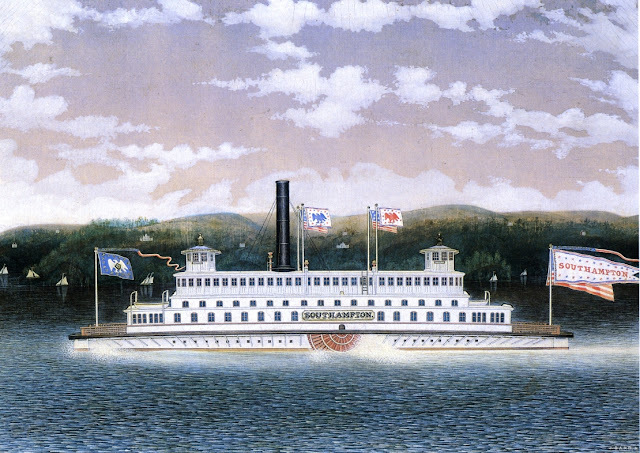 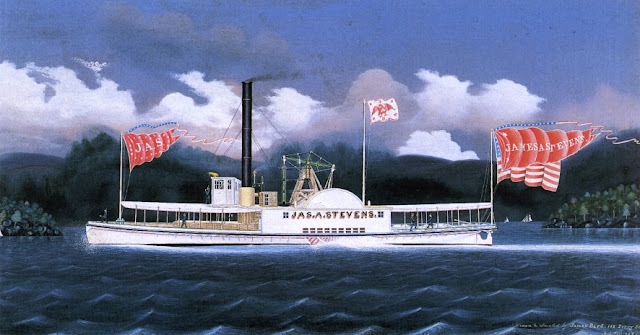 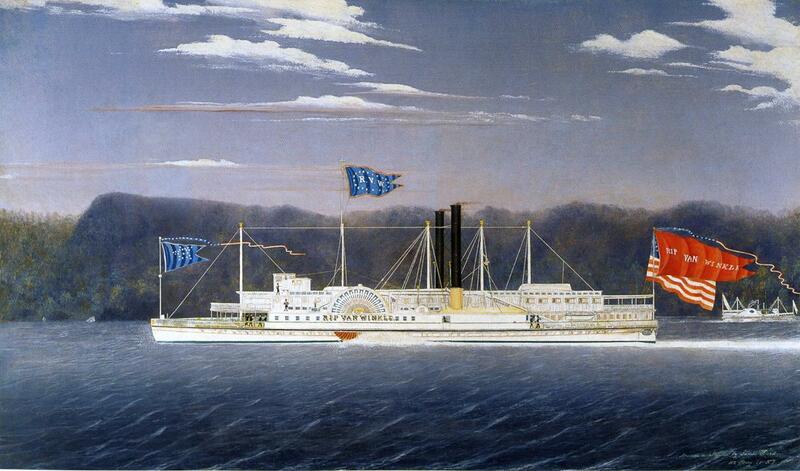 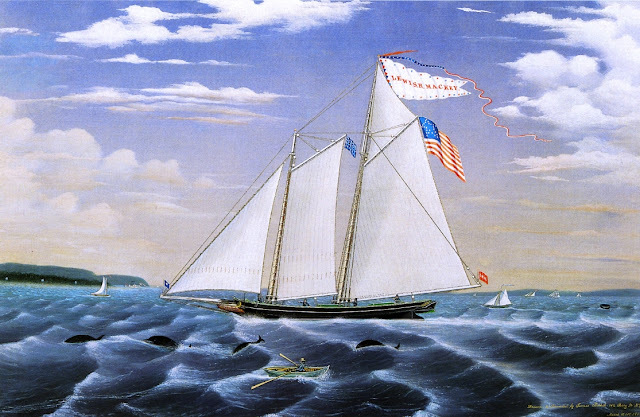 James Bard was a marine artist known for his paintings of watercraft, particularly of steamboats. 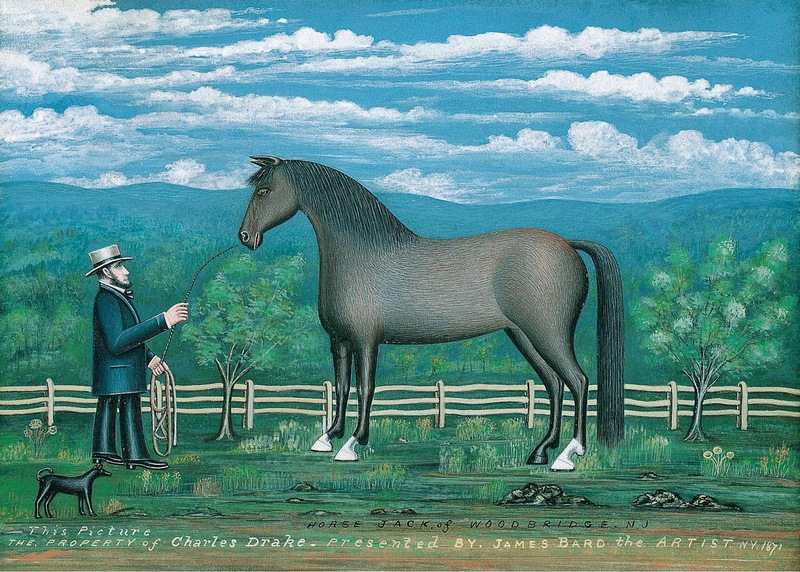 His works are sometimes characterised as naïve art. Although Bard died poor and almost forgotten, his works have since become valuable. Bard had a twin brother, John (1815–1856) and they collaborated on earlier works. James Bard and John Bard were born in 1815 in New York City. 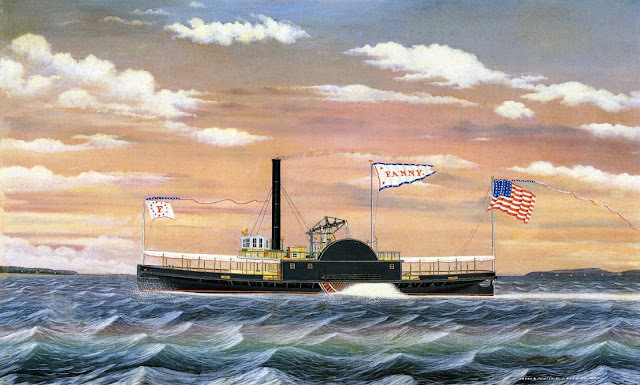 Their father was Joseph Bard, who had been born in England. 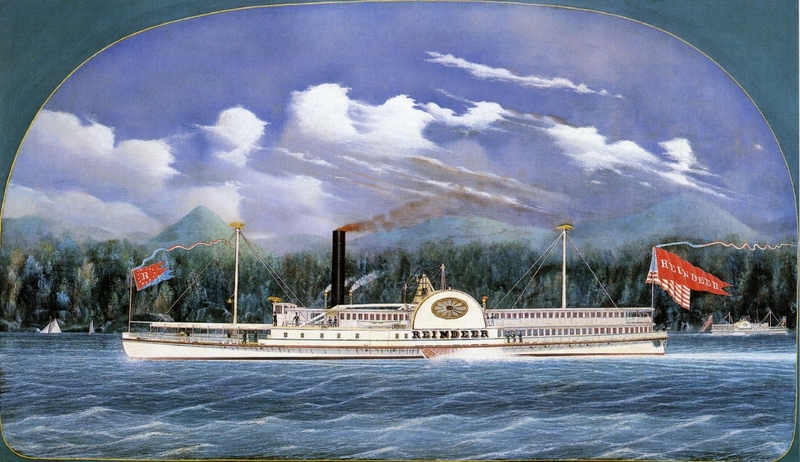 Their mother was Nellie Purvis Bard, who had been born in Scotland. They had at least two brothers (Joseph and George), two older sisters (Ellen and Mary) and one younger sister, Margaret. 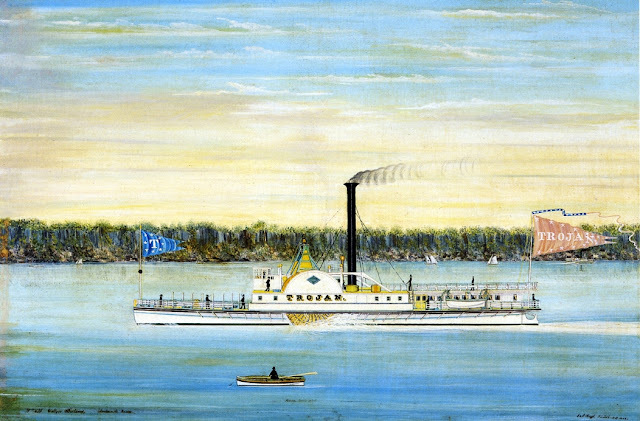 Sometime before 1843, Bard married Harriet DeGroot, who was six years older than he was. They had six children, but between 1843 and 1856 five of them died. Only their daughter Ellen survived. 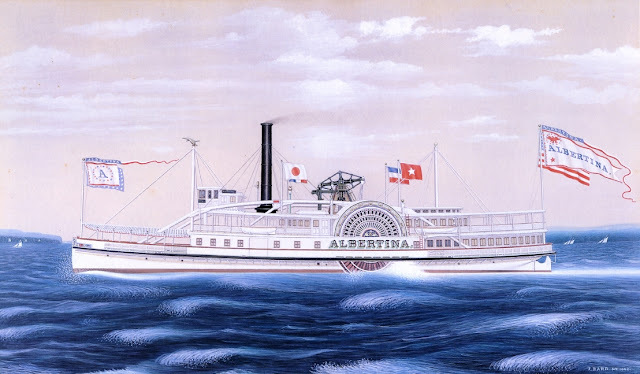 Harriet's brother, Albert DeGroot, later became a steamboat captain and a wealthy man, who commissioned a number of works by James Bard. During his life, Bard painted or made drawings of at least 3,000 vessels, including probably every steamer built at New York during his active life as an artist. 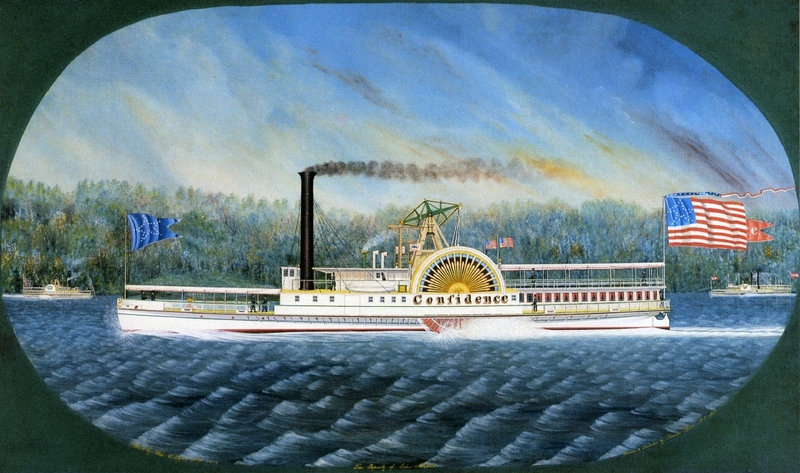 Bard's works included common features intended to please patrons. 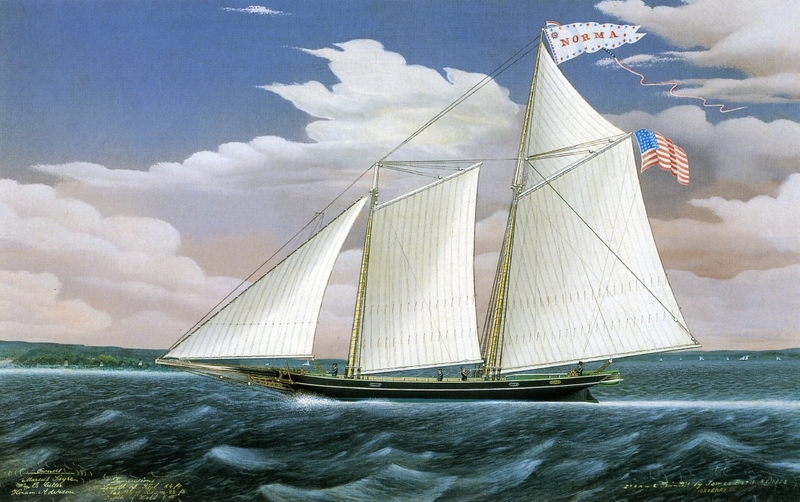 Sailboats were shown underway with all sails up. 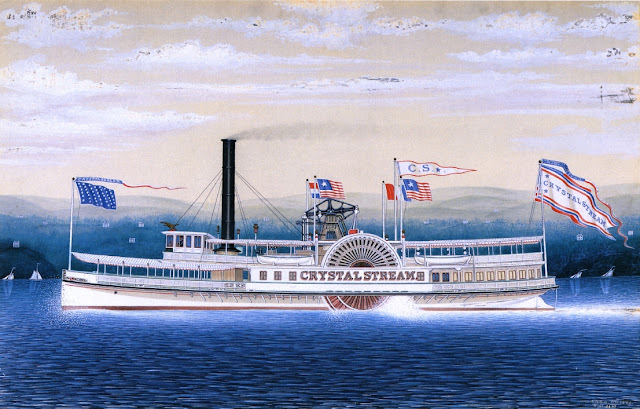 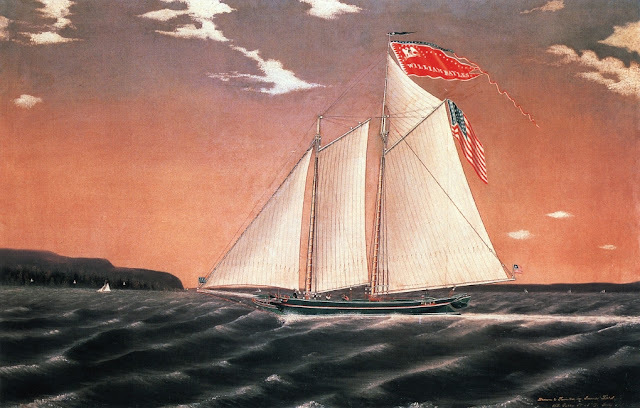 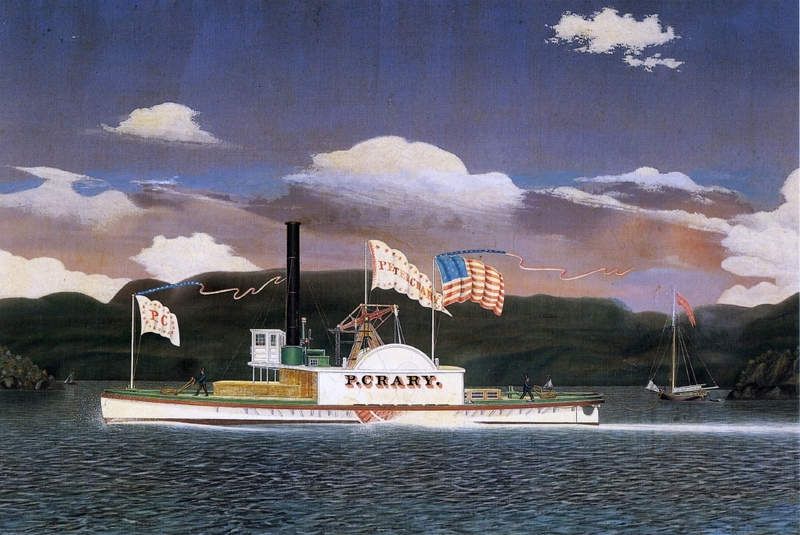 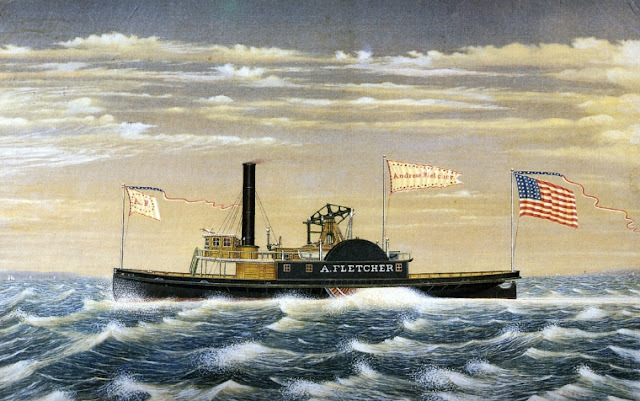 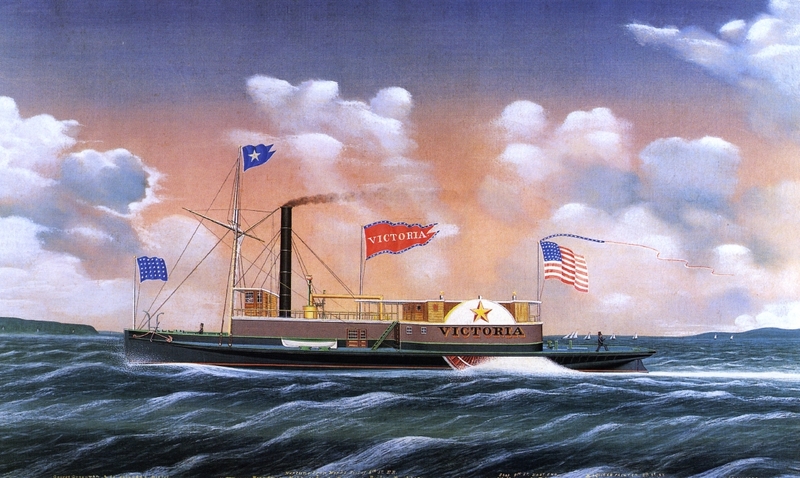 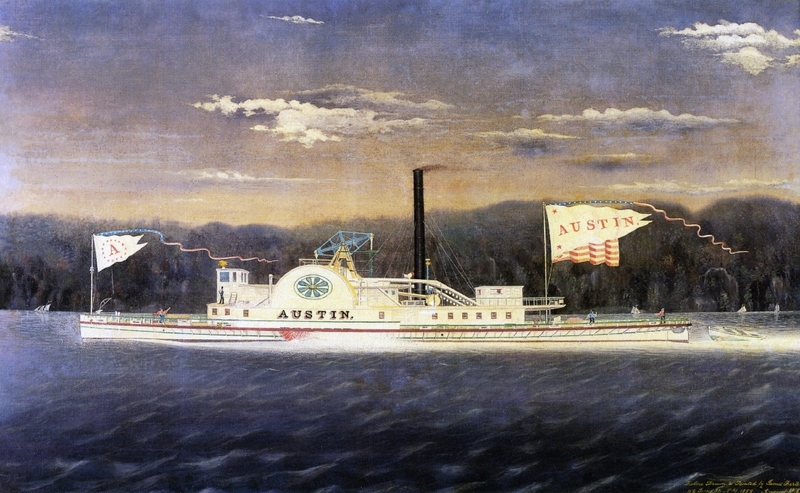 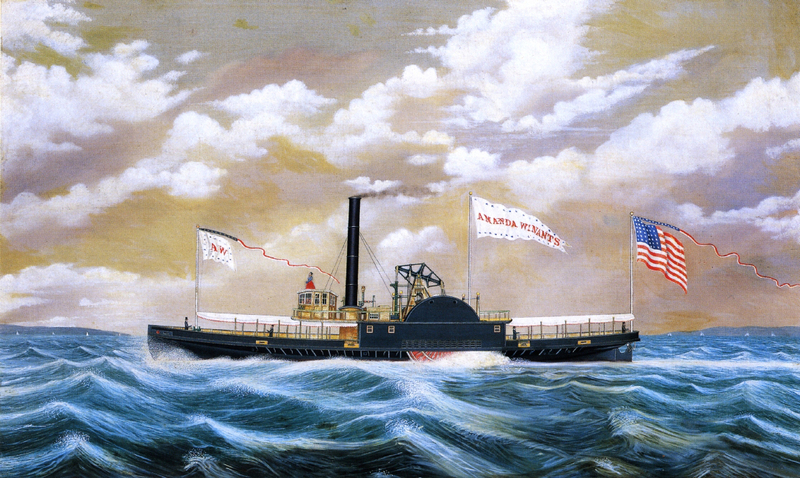 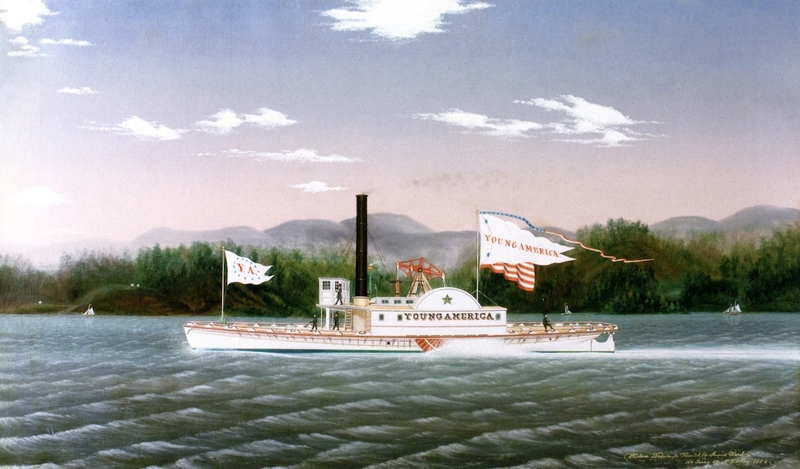 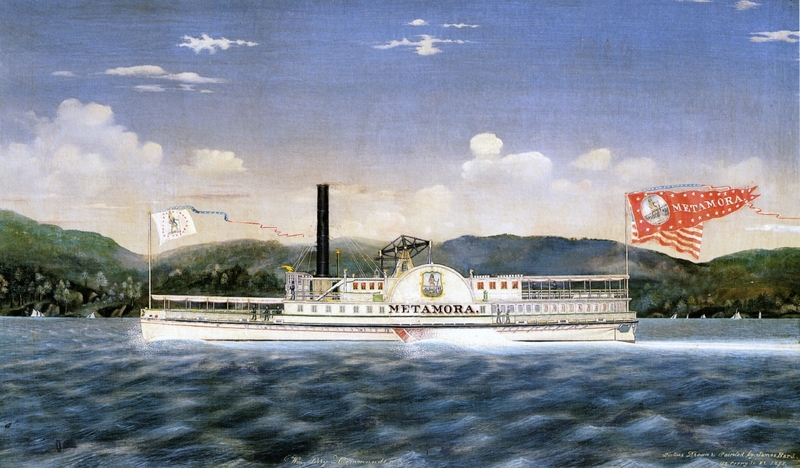 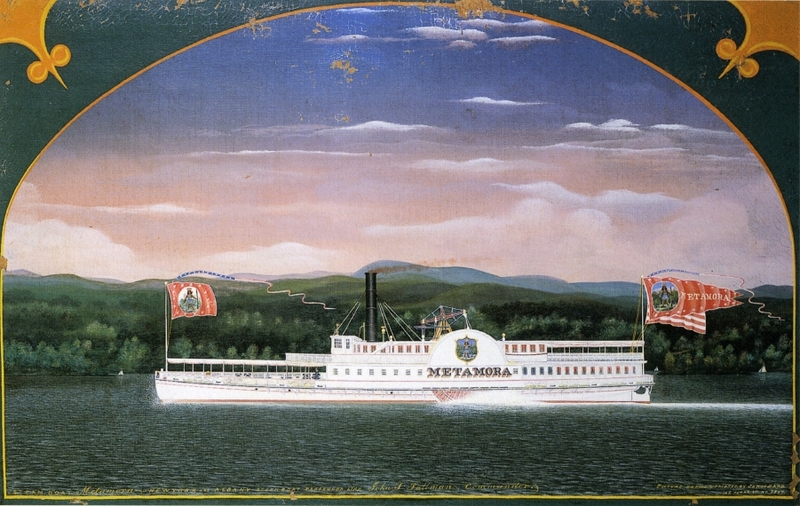 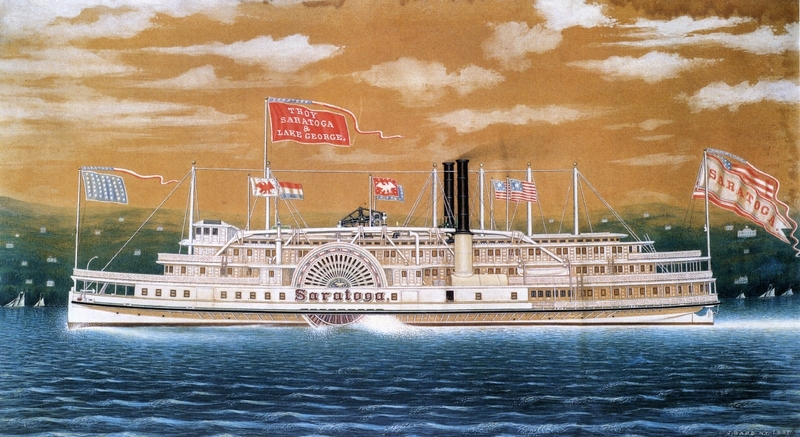 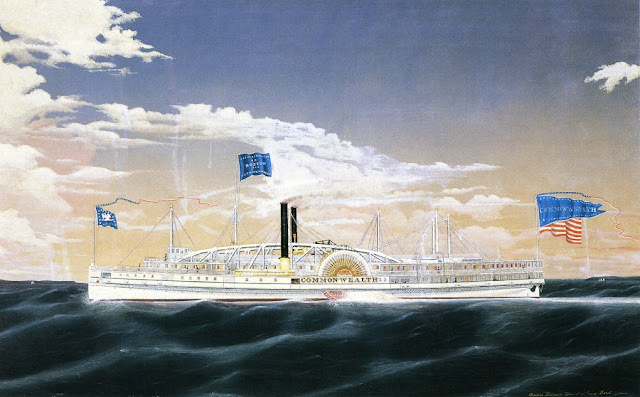 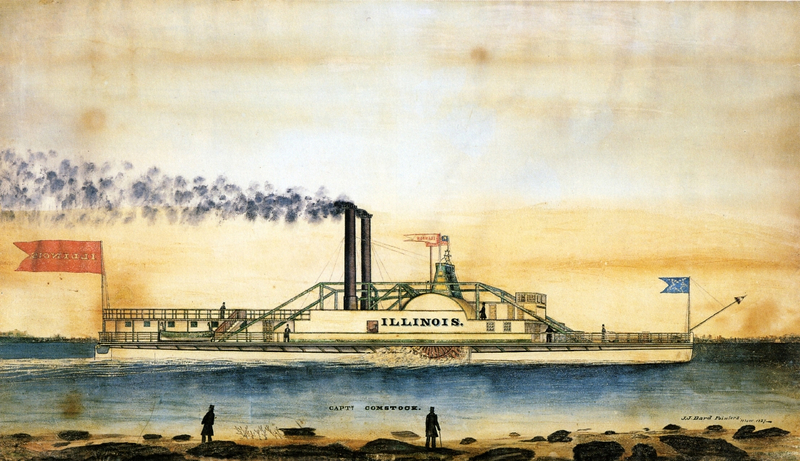 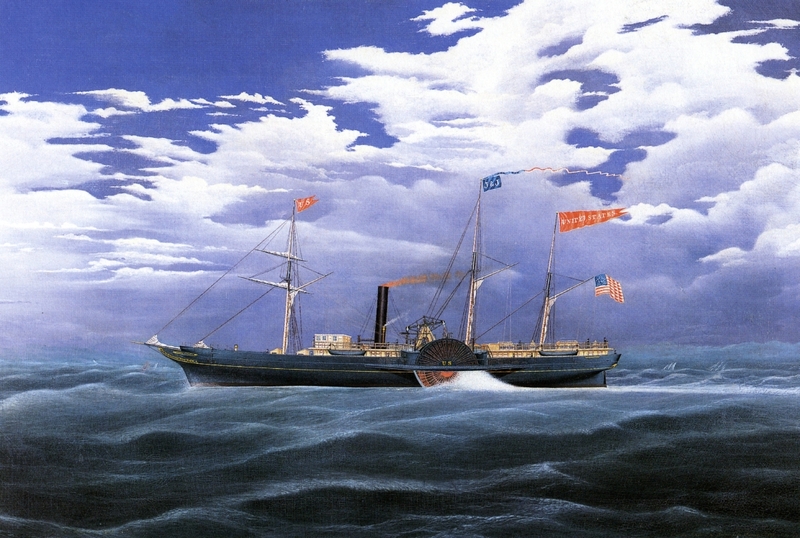 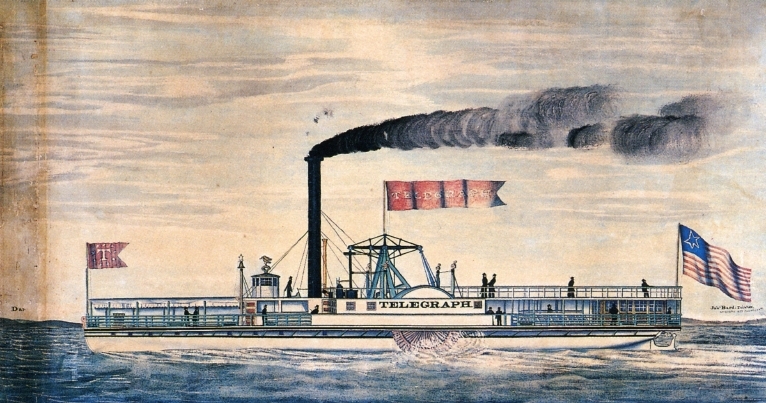 Steamboats likewise were shown underway, with numerous flags flying, including a large one bearing the vessel's name. 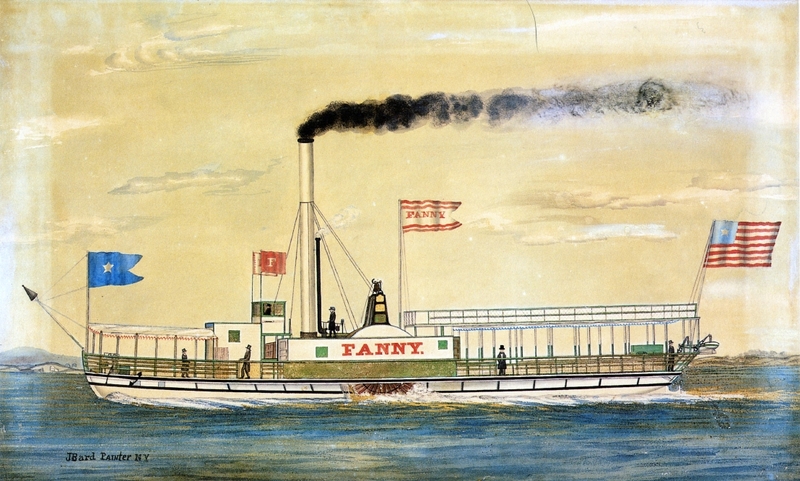 There would often be inscriptions about the ship and its owner. inscribed "This Picture The Property of Charles Drake, Presented by James Bard the Artist. NY. 1871"